Laurel Clohessy (Deshpal Kaur) grew up with Kundalini Yoga sprinkled throughout her early childhood. She returned to the arms of this practice following the birth of her oldest son. 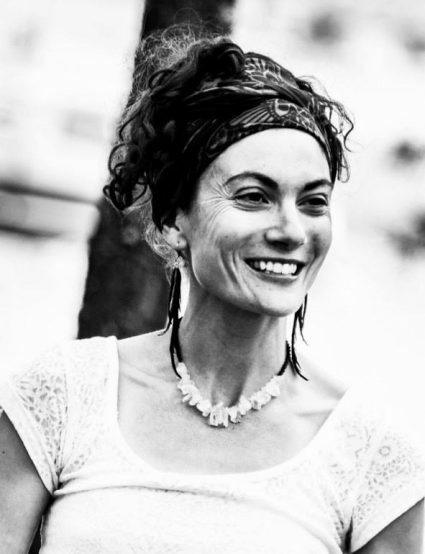 In 2005 Laurel studied with Gurmukh to become a certified Khalsa Way Prenatal teacher. In 2007, she completed the Radiant Child teacher training with Shakta Kaur, and in 2014 Laurel completed her Level 1 KYTT with Sevak Singh Khalsa. Laurel often incorporates poetry and dance movement into her all-levels classes. 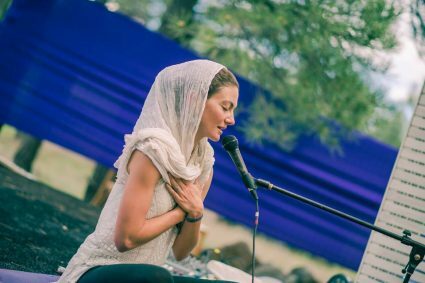 It is her joy to share these teachings with others, and she sees the powerful practice of Kundalini Yoga as a compass that can always point us forward, as well as return us to the happiest, truest Self. Laurel teaches currently in Portland, Oregon and is a transplant from Flagstaff, AZ. BRING: Dress comfortably to move, bring a water bottle, a cushion or blanket, and yoga mat if you have one. Please bring a sack lunch (hot tea and coffee provided). Sitting together blessing our food, and sharing a mealtime is a great thing for any community. Bring a sunhat, light jacket, and shoes to walk to the shore (a very short walk). We will experience some meditation and breathwork by the ocean. This workshop is best for students age 14 and up. 12 students max.